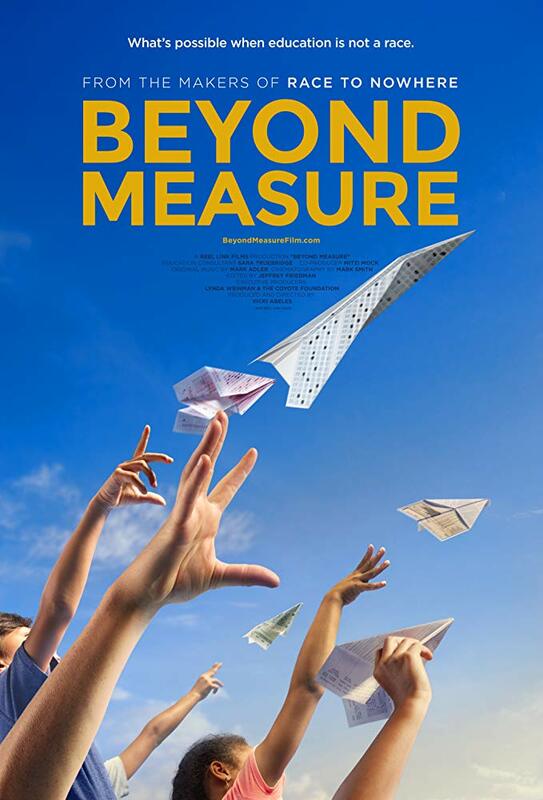 'Beyond Measure' follows a new vanguard of educators across the country who are pioneering a fresh vision for American schools. Pulling from expert research in education, child development, and cognitive and neuroscience, these leaders are creating a new type of classroom. They're leading schools that redirect our focus away from homework, prizes, top grades and test scores. And they're making room for curiosity, engagement, creativity, collaboration and independent thinking. By putting innovative models into practice, they're finding inspiration in doing things differently - and changing how and what we teach. Runtime 80 minutes. You are welcome to stay after for a short discussion.